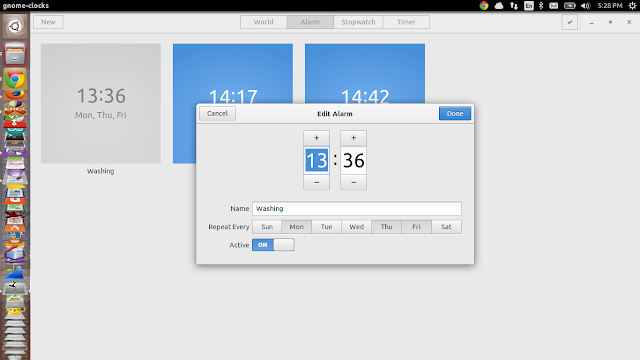 This post is about my work on alarm component of gnome-clocks as a part of GSoC '15. 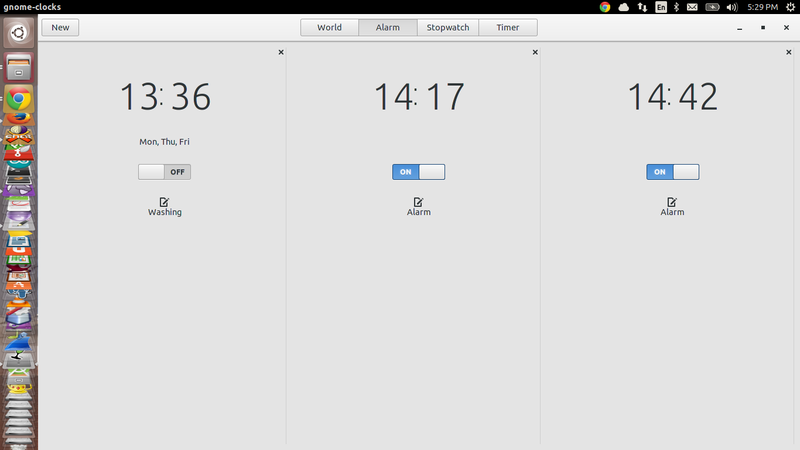 I'll start with the current design of the alarm component in gnome-clocks. Below are the screenshots for the current design of alarm component in gnome-clocks. Below is the screenshot of my work on alarm component so far. 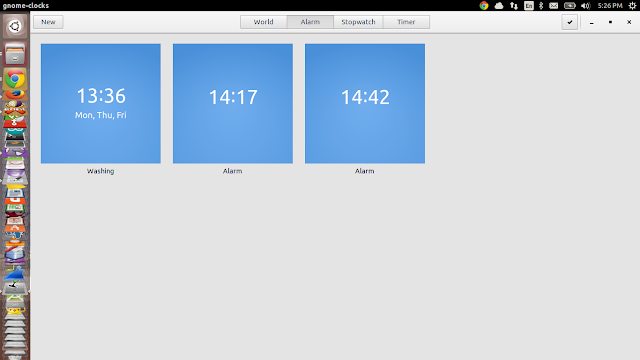 As shown in the above screenshot, there would be different tiles of alarms separated by a GtkSeparator in GtkBox. With this new design, a user would be able to switch on/off the alarm directly with one click while with the current design, a user has to open the edit dialog box and then turn on/off the alarm and then click on "Done" to save the changes. A user would be able to change the label of the alarm directly by clicking on the icon shown above the alarm name, which will open a popover where user can edit the alarm label. In addition to all of this, a user would be able to change the repetition days and alarm time by clicking on the tile and making changes in the edit dialog box and saving them. So far I'm able to add functionality of adding/removing alarm, editing an alarm and reflecting the new changes in the alarm tile. Right now I'm working on integrating features such as directly turning on/off the alarm using the active switch and changing the alarm label directly. I think this is promising. Just make sure to give it some vertical boundary, it seems strange being limitless as it is (besides being a waste of space, if you need to add dozens of alarms). It might be a matter of taste, but I would rather have the edit icon besides the label instead of above it. It feels misplaced as it is. The delete button ("x") is too close to the right edge IMHO. Also, it's not intuitive where you should click to change repetition dates.